Derrick Barnes' smooth, fresh words and Gordon C. James' lush, vibrant illustrations capture the confidence, pride and magic black and brown boys feel the moment they get a new haircut and admire their own beautiful reflections in the mirror. 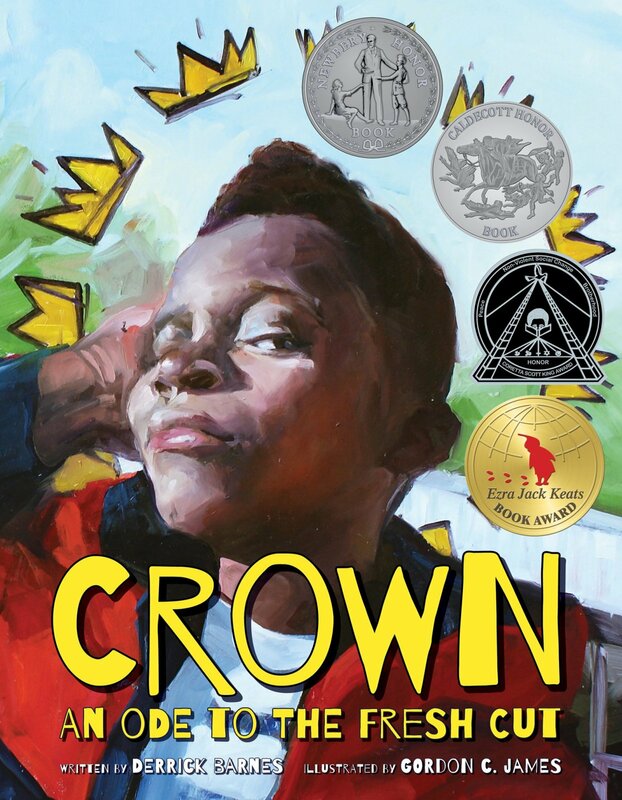 This rhythmic, read-aloud title is an unbridled celebration of the self-esteem, confidence and swagger boys feel when they leave the barber's chair- a tradition that places on their heads a figurative crown, beaming with jewels, that confirms the brilliance and worth and helps them not only love and accept themselves but also take a giant step toward caring how they present themselves to the world. The fresh cuts, That's where it all begins.